Why must you be so hard against us all? we harbinger peace, so why the malice? How long must we dwell under despots' chains? is there any wonder at all of the recent news? could there be but death beyond this sport? can life succeed beyond our perpetual reasons? is there any strife left to endure our seasons? Had the scathing insolence of the incontinent rhododendron that threw another stuffed tire upon the grill of international fortitude entertaining the draft of lime green winter smoke which soothed my inner-peace with close, but not quite over the hill yet intensity, just to serenade the cockpit's wife with a scorpion tied in meat juice flavored ribbons before the bow was created? In retrospective fascination we'd finally realize that the river Nile ran beneath sand-like snow all year round and replicated the undeniable fact that negative countries that lie behind quantum spaces are forever rendered to be nightmare magnets for all time from just now. Could this be the stork who almost frantically but nevertheless surely retreats to higher ground beyond the cold moss distinctly foreign to these November lemon tree plains never to be found within fields scarcely consisting of rancid red clover and rotten angry searchlights seeking visions of a better tomorrow? The uphampshired fordalidated carneligated creative purponalitigizes callingtonical derision fredimaricalliniferated upon unjustified deluges. Also thine o'erbearing conscripted distractironical coloneratious demarginations imaginate the zeroximanerosicalitimiteraged darkness. We go to where instaveracious xialixas destruction almost partaligizes indiscriminate fonicaliphirious supercalifragilisticexpealidocious colonoromoronicorated internatigized foreseen presence. This will show thine squiriminarigatimaceoulidamacalica-magilaforcamiconicalitomiroxificaphileicalica the secret of life. Dominaceous conlomertaceted dolimarical operanimaru fonicariform shows the world the secret of limericaritousus. We still fail to understand the omniperplexispaceous theory of gravitation and thuramarucatomious plants. This new theory must show that aminarucaligicamaruphorselliamicooloonoofoocamelamosomsimaceolitificomiratifolia is a natural disaster. Why Does Goku Eat Bees? 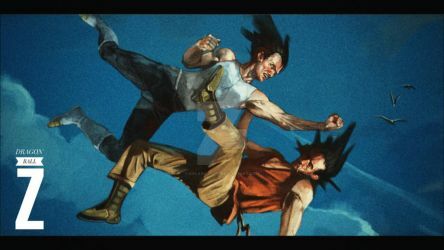 So why does Goku eat bees? This is a question that had plagued mankind for centuries and could only be tackled by the greatest living philosophers money could buy. Many psychologists of more than zilch notoriety had also took a crack at the incorrigible conundrum that presents itself to the wide world at large. Anyone is welcome to put their two cents worth into the melting pot of shared worldly knowledge and spar with the demonic aura of uncertainty because it would seem that the professionals are doing just about jack about the problem. Timmy Tuttle has a tiny turtle which he loves more than life itself. Why does he love his tiny turtle so might you ask? Because that tiny turtle saved his life in 'nam or so he dreamt one night. A tiny turtle could be a man's second best friend which Timmy Tuttle often says to passersby. Those very passersby then go forth in contemplation to live out the most enriched lives life has to offer. With all the strange facts compiled before you, one still vaguely lets slip the question... "Why? What is this all about and why should I care?" The answer to that greatest of all questions has the simplest of all answers that could be formulated by anyone sentient enough to ponder the magnificent puzzles that the universe has to offer. To boil down the sauce of existential porridge, what you'll be left with is a pure unadulterated love that would consume your soul driving you into the lofty heights of heavens' subbasement. and only with death the final result?" "So why does this only happen to me? the world's big hero - the great Pancake Bee! they will meet their fate - paradise or knives? Here are my pictures and poetry! To try to stretch a mortal love like ours. As temporal as flowers in a vase. Immortalised each second; cheating Death. I was born under a bad sign so lets just go with that. 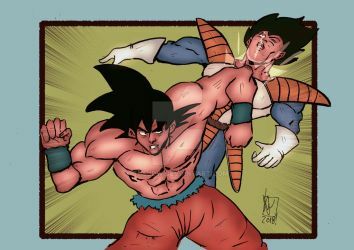 IT SEEMS LIKE GOKU TOOK THINGS A LITTLE TOO FAR!!! TIMMY TUTTLE HAS TO GO!!!!!! Due to a very bad visual pun, Timmy Tuttle and his tiny turtle has to run for their lives after angering sweet and innocent chicks. At least Timmy Tuttle's tiny turtle is very fast on his feet. Some More dark poetry that I've written. GOKU CHASING HIS EVENING MEAL!!!!!! One day Goku was hungry so he decided to eat some more bees. Shall I sing here of the sun and the moon? `tis nothing new so why do we panic? Miscellaneous old poetic experiments from a notebook lying around. Thanks for the fun political cartoons, they really make my day! Thank Ben Garrison, Tina Toons and AF Branco.